Lacquered wood petals resting on metal structures that confer a lightweight look and a touch of 50s design to Flowers tables, in line with Roberto Lazzeroni’ style. 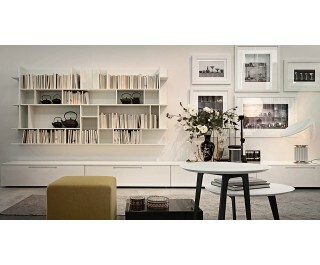 The lacquered tops available in over 40 colours of Lema’s collection, brighten and warm the environments of the house. Available in 2 heights and 4 dimensions, Flowers tables can be used alone or joined.